Do you love Lesley Crewe? So do we! 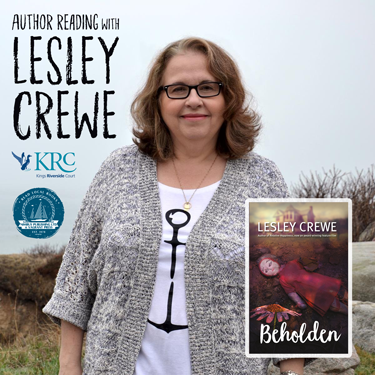 Share the love and join us for an evening with this beloved author to celebrate her tenth book: Beholden. At Kings Riverside Court, Bluenose Lounge, 125 Webster Street, Kentville. Light refreshments will be provided. Everyone is welcome. Admission is free. Signed copies of Beholden will be available for purchase. Cash only.